Bershka was established in April 1998. It is a Spanish brand, owned by the same company that owns Zara and Massimo Dutti, among others. The brand has been available since 2011 and is aimed at a young target market. They produce products for men, women and girls and have proved to be very popular. They consistently get four- and five-star consumer reviews for their products, which now go up to an XL or size 16. The brand describes its philosophy as more attitude than product, and that can be seen in the design of their stores as well as their clothing. 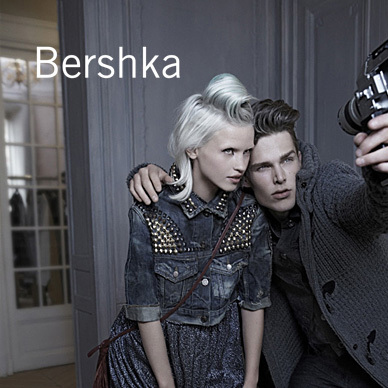 Add Bershka to your Favourites list and be the first to know every time they have a Sale on! 1st January 2018 - Bershka New Years Day sales for 2018. 7th May 2018 - Bershka Early May Bank Holiday sales for 2018, add to your diary now! July 2018 - Bershka Summer 2018 sales, joining us? 23rd November 2018 - Bershka Black Friday sales in 2018 start on Friday 24th November. Add products from Bershka to your Love Sales list. Get the Love Sales button now! Bershka Cyber Monday Event is now on across everything! Shop the sale, you won't want to miss it! Bershka Black Friday Event is now on across everything! Shop the sale, you won't want to miss it! Bershka 30% off September sale is on now across all season clothing! Bershka July 60% off Sale is now on across both men and womens clothing! The Bershka January Sale is on with up to 50% off a fantastic range of clothing, footwear and accessories for men, women and children. Buy now and do not miss out!